This entry was posted in Fan Videos, richard armitage and tagged 41st birthday, actor, richard armitage, the hobbit, thorin oakenshield. Bookmark the permalink. BRILLIANT:-) Love it 🙂 Happy RA B-day, everyone! Beautiful vid! A thing I appreciate about your work – perfectly paced visual adapting to music. Happy Birthday, Mr. A! And enjoy the week, RA Supporters! Hi Bcc! I enjoyed your vid immensely and I never would have guessed it was prepared using a “template”! I loved the ghostbusters idea at the end! Gerry’s scream and Dr.Track in his “ghostbuster outfit”- hilarious!! I agree with Fitzg, your vids are always perfectly paced! Congrats and thank you! @Judit: Hehe, the Ghostbuters bit took awhile because I made that part from scratch. Glad you liked the slideshow too! Thanks so much for your lovely comment! 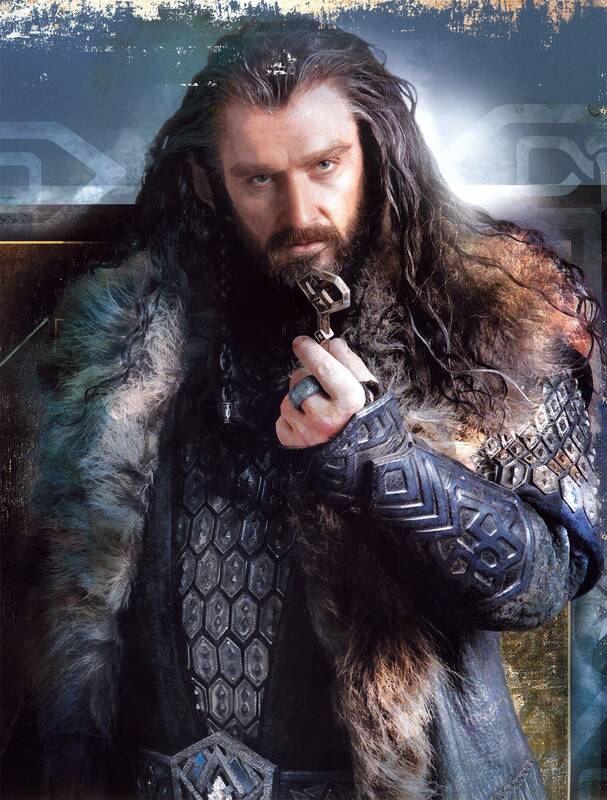 Ah and I love that new publicity still of Thorin! Swoonworthy or what??? He’s holding the key to our hearts! Didn’t you have a “birthday suit” photo to use?! Bccmee, the birthday video is excellent- love the transitions, fRAmes, backgrounds, hunky man etc. You are surely a wizard. Have a great day everyone and raise a glass or cuppa to our favorite dwarf, commando, doctor, accountant, business owner and actor. @A Scattering: That’s so true re: key to our hearts! ♥ Um, I would need to password protect a “birthday suit” video, LOL! It’s such a pleasure to see and play with pictures and clips of Richard Armitage. 😀 Thanks very much for your comment. Forgot to request the follow-ups the first time! Thanks for the wonderful video bccmee – and I loved the Ghost Busters twist at the end (I’ll remember that next time I watch GH!! Loved the slide show — but the mini vid at the end really killed me!! Good thing the kids aren’t back at school here yet because I don’t think I could get away with laughing so hard in a library any other time! I would love to see a compilation of all the ending bits to your videos but I could never watch it at work. @phylly3: Haha, glad you enjoyed the silly ending. 😀 I’ve considered a collection of surprise endings. I think they’re more popular than my actual videos, which doesn’t bother me, LOL! Thanks for your lovely comment. I´m still with my open mouth ,Bcc. Your creativity doesn´t have limits. Fantastic video and what an original idea of including those vicar of Dibley scenes and Dr Track as a Ghost buster.I was very cool. Congratulations. And Happy BiRthdAy, adorable Richard! Wonderful video as usual! Thanks Bccmee for sharing with us. Lovely vid, bccmee! Especially like the spoof on Ghost Busters at the end. Those orange suits from The Golden Hour were perfect for that! Aw, that’s a fab video, thanks B! Love the surprise ending – how perfectly did that clip from TGH fit in with the Ghosbusters theme? Happy RA’s Birthday/Armitage Day, everyone! @smitkit: Happy Armitage Day to you, too! Delighted you enjoyed this extRA-short video. Next time I hope to make a taller one, LOL! Thank you for your wonderful video Bccmee! @mariana: Thanks for your kind wishes! Wonderful video! Perfect as always! Bccmee, you SO ROCK!! I nearly choked on my lunch at the very unexpected Ghostbuster hilarity!!! Bless you & Bless our Mr. Armitage! I love this video♥ Bccmee! The surprise on the end really caused my loud laughter! Thank you! @Ania: Haha, glad you liked the ending! 🙂 Thank you for your comment. @titianminx: That song was a really nice find. Can’t make any promises, but I hope to make a full-length video with that music. 🙂 Thanks for your comment! Best wishes to you, too. Thanks so much for the fabulous video! Richard is lucky to have an artistic fan like you! Bccmee, you always amaze us with your creativity and good taste. Thanks for another gReAt video, despite your tight schedule! And the final surprise, LOL! Happy Armitage Day to all! Great birthday video, Bcc Mee! This is wonderful, video! Fabulous artwork! I love this, bccmee. 43 [“click”] that can’t be your knee? Loved your birthday video. The Ghostbusters bit at the end was awesome. Loved the video and am still smiling. Happy birthday Richard and Happy Armitage day to all. Brilliant vido Bccmee! and the Ra ghost busters is hilarious. Bravo! @Lady Prisca: I’m glad you liked that bit. 😀 Thanks so much for your comment! Bccmee, your video has a new admirer; he’s my 2 years 8 month old grandson. Yesterday I was watching at your video. My grandson whose attention was called by the melody, entered in my chamber with a big smile on his face, looked at the video, danced a little, and said (in Romanian, of course): amusing! I’m not shure if he knows what “amusing” means but he really liked this video. LOL!! FABULOUS Birthday video, bccmee! Great song, too! I loved the Ghostbusters/Dr. Track ending! So funny!! @debra: Thanks! That song is a real gem. Delighted you enjoyed the Ghostbusters ending too. 🙂 I appreciate your comment. This is one of the best videos for RA that I have seen. It was beautifully done, Bccmee. I know I say this stuff every time, but it’s true! I admire those with a great mind for detail and craftsmanship. I wish RA would see this because he would love it. @Brooke: You’re very sweet to say, thanks! Bccmee, I grew up with the Ghostbusters movies and obviously I still love the song. Thanks for including it. It helped to make it more fun and interesting. When we watch the special effects, it’s easy to be thankful that special effects have improved so much since the 1980s. I used to play with the toy Ghostbuster headquarters that was an old fire house. I like to see RA run around on screen and try different roles. The role might be wrong for him, but he might enjoy it. Now, I’m very disappointed ! can’t see no more the video! They said it is blocked in my country “on copyright rights”! Hi, Bccmee! I’ve been quite busy too! OMG! The video is so beautiful! I just loved it! And that ending!?! Awesome!!! Thanks for sharing! @cocobiol: Thanks for your sweet comment! It’s difficult to believe that Richard Armitage will be celebrating another birthday next month. I wonder what’s in store!